Vice Admiral Karambir Singh has superseded Vice Admiral Bimal Verma, who is currently serving as the Commander-in-Chief of the Andaman and Nicobar Command. 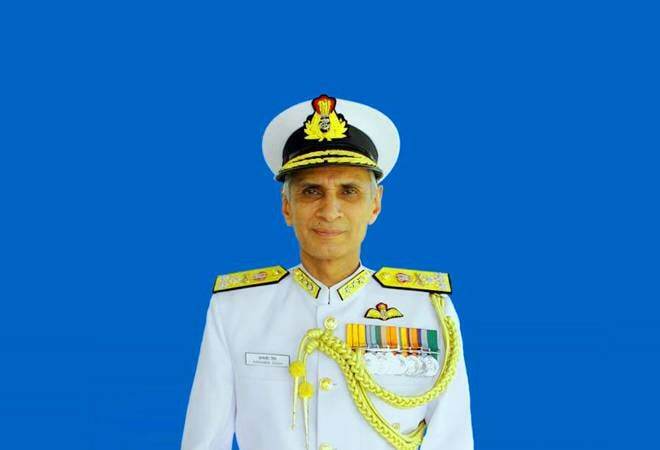 Vice Admiral Karambir Singh will be the next Navy Chief. After General Bipin Rawat's appointment as the Army Chief in 2016, the government has again overlooked seniority as a criterion while appointing Vice Admiral Karambir Singh, the second senior-most officer in the Navy, as the next Navy Chief. Vice Admiral Karambir Singh, who has superseded Vice Admiral Bimal Verma, will take over from Admiral Sunil Lanba who is retiring on May 31. Vice Admiral Bimal Verma is currently serving as the Commander-in-Chief of the Andaman and Nicobar Command. The government is believed to have picked the "most suitable officer" for the top job. Despite a long-time precedent of appointing senior-most officers for the top job, the government had previously overlooked seniority in case of General Bipin Rawat, who superseded two officers. "The three senior most officers were in the running but the most suitable candidate was picked for the job," India Today quoted unnamed sources as saying. Vice Admiral Karambir Singh is the current Flag Officer Commanding in Chief (FOC-in-C), Eastern Naval Command of the Indian Navy. His other important flag appointments include Chief of Staff of the Tri-Services Unified Command at Andaman & Nicobar Islands and as the Flag Officer Commanding Maharashtra and Gujarat Naval Area (FOMAG), as per according to information available on the Navy's official website. An alumnus of National Defence Academy (NDA), Khadakwasla, Singh had commissioned into the Indian Navy in July 1980. He is a graduate of Defence Services Staff College, Wellington; College of Naval Warfare, Mumbai and has served as Directing Staff in both these Institutions. In his career spanning over 37 years, he has been awarded the Ati Vishist Seva Medal and Param Vishist Seva Medal (2018) for his service. He has commanded various ships, such as an Indian Coast Guard Ship Chandbibi, Missile Corvette INS Vijaydurg as well as two Guided Missile Destroyers INS Rana and INS Delhi. He has also served as the Fleet Operations Officer of the Western Fleet. The Admiral has served at Naval Headquarters as the Joint Director Naval Air Staff, and as Captain Air and Officer-in-Charge of the Naval Air Station at Mumbai. He has also served a member of the Aircrew Instrument Rating and Categorisation Board (AIRCATS).